Large storage bag with an owl design. 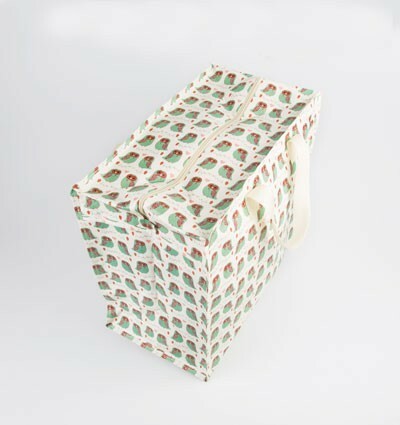 Great for storing sleepover bedding, clothes and laundry or use as a toy or boot tidy. This storage bag is light weight and will keep things dust free. Perfect for storing sleepover bedding, toys or laundry or use it as a boot tidy. Great for all those cuddly toys! A stylish modern design with a retro feel. Perfect for transporting stuff from home to school, friends or family or if your moving house or off to University.